Back in 2011, Ric McClelland & Sean Grieve launched Seven Music as an outlet for their own material. Since then, the label has grown dramatically. 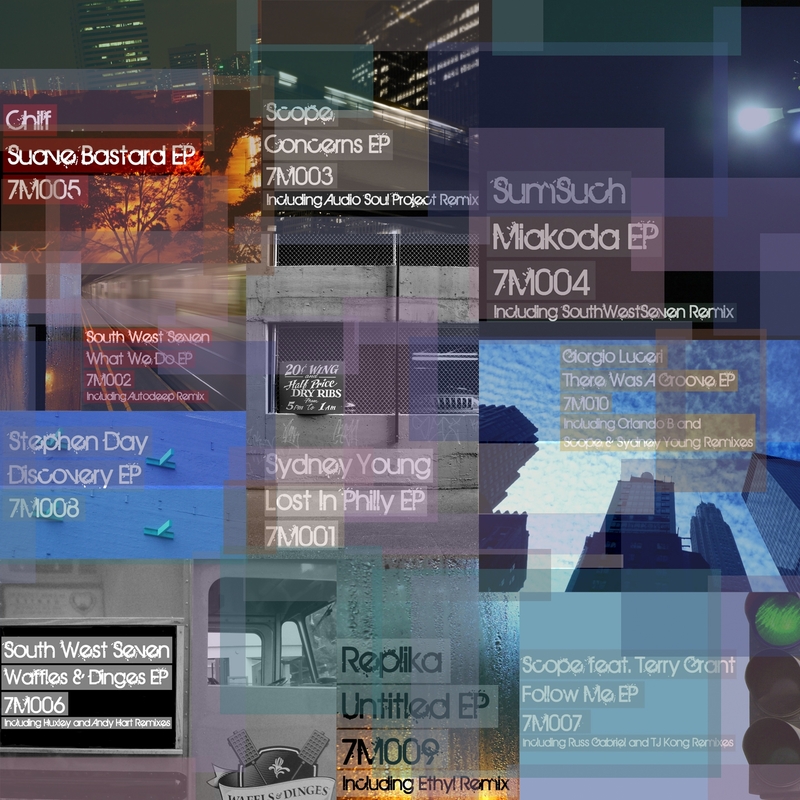 Not only have they released their own material as Scope, South West Seven and Sydney Young, but the label has become a home for a wealth of new talent such as Sumsuch, Chilf, Stephen Day, Replika and Giorgione Luceri. Key players in the scene such as Audio Soul Project, Huxley, Russ Gabriel and Ethyl have also joined the Seven Music camp and helped the label continuously build. The label has accomplished a lot in a short space of time and this collection of tracks handpicked from the initial 10 releases showcases the consistence in quality from Seven Music.